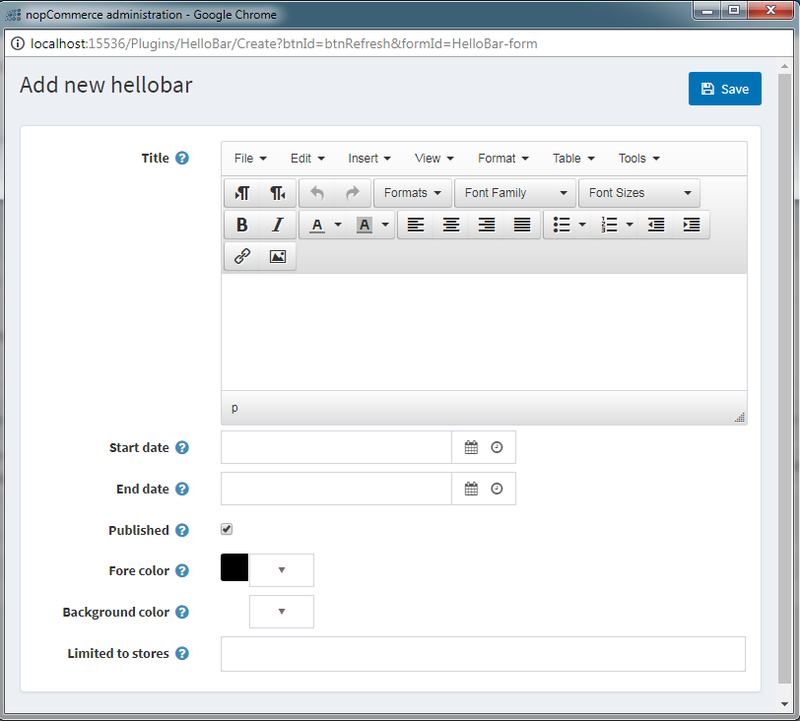 For create new HelloBar, just click on Add new button. On click of Add New button, it will open new pop-up windows where admin can configure HelloBar. Title : Title is for text of HelloBar. StartDate : It is contain start date of HelloBar. EndDate : It is contain end date of HelloBar. Published : It is for active HelloBar. Fore color : It is contain color of title. Background color : It is contain color of background. Limited to stores : Select stores for display HelloBar. Here you can select multiple stores.